Selling a home can be a stressful time in your life but having the right listing agent guiding you in explaining the process as you go will make the entire situation much less stressful and hassle free. We know the Louisville real estate market. 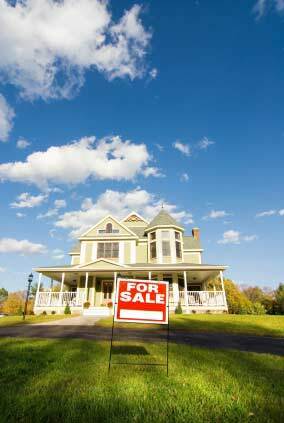 We know the outlying areas, counties, and every type of real estate and residential properties areas. We can help price your home correctly the first time so that you're not chasing the market down lower than where you could have sold to begin with. We help you stage, set up, design and decorate providing tips and suggestions for your particular home. Knowing the buyers means knowing a sale. Because we also work with dozens of buyers each month we know what the current market trends look like and what buyers are offering on. If you don't know what your buyers are buying it's hard to plan and market for that. We can help you determine the right price range and starting point to list your property in presented in a way that will get buyers through the door and offers on the table. This is not market to try this on your own. For sale by owner homes sit on the market 3 to 4 times as long and tend to drop in price much higher and faster than any home sold by a qualified Realtor®. As your Louisville real estate agent we are determined to utilize every necessary tool out there to advertise and market your home to potential buyers and investors. If you are serious about selling your home or you are facing the potential of the foreclosure please contact us immediately with foreclosure alternatives, short sale options and programs, or to find out how much your Louisville home is worth.